Established in 1986, Hockhua started its business in the wholesale of American Ginseng imported from Canada. The four founders of Hockhua soon saw the need for traditional health products in the market, and began importing quality bird’s nest. In 1989, the first Hockhua Ginseng Bird’s Nest outlet opened in Hougang, and Hockhua was set to realise the potential in the traditional medicine market. As Hockhua developed, it began to bring in herbs, medicines and health products. In 1992, Hockhua moved into retailing of traditional medicines and remedies on a full scale. Hockhua’s retail business was driven initially by Hockhua Tonics and Oriental Herbal Tea. As the demand for traditional medicines and remedies increased, Hockhua expanded and restructured its operations to meet the market’s needs. It strengthened its retail offerings while ensuring its competitive edge with reasonable pricing for quality products. 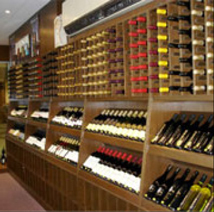 By the year 2012, Hockhua comprises Hockhua Holdings and Hockhua Tonics. Under Hockhua Holdings, there are 6 trading companies, including H.W. Ginseng, H.W. Bird’s Nest, H.W. Herbs, H.W. Traditional Medicine, H.W. Agri-food and H.W. Seafood. These companies are responsible for the import, distribution, management, production, processing and cultivation where possible, of their specialised products. Hockhua now consists of 6 trading companies, 58 traditional medicine retail outlets and 15 oriental herbal tea stores, throughout Singapore. By 2015, our turnover reached $130 million. We celebrated our 26th anniversary with our consecutive 8 years achievement of the “Superbrands” award. To excel by providing quality health products at affortable price and good services. The company adopts a positive, transparent and sincere attitude, sharing our achievements and findings with all stakeholders – suppliers, customers and employees. To create a better understanding of our products among our customers, we educate and nurture our team members periodically with knowledge on traditional Chinese medicine and their usefulness. Sincerity is the core value which Hockhua has stayed true all these years. It enables our team members – from management to retail staff – to work towards our common goal. It also ensures we know our customers’ needs, and build their trust in our company and products. The company has always sought to improve, both in “breadth” and “depth”. “Breadth” refers to our retail management system under Hockhua Tonic. It demands that we acquire a wide range of products of the finest quality. It also means we are constantly exploring new products and markets. “Depth” refers to our six trading companies, each is responsible to purchase, produce and cultivate the products under its charge. It also refers to their knowledge of these products, from their uses and grading to how and where they are cultivated. These two principles complement each other. They ensure that the company is committed to meeting our customers’ demand for improvement. Finally, the most crucial element in the company’s management philosophy is the dedication to acquire high quality health food and medical products at reasonable costs so that every customer can live in a world of natural and wholesome good health. During Chinese New Year, it is customary for Chinese families to stick the character “fortune” (“福”) on their doors. It signifies the arrival of good fortune, peace and health. Likewise, the founder of Hockhua used to do the same at all his shop fronts to celebrate the festive season. Once, while sticking the Chinese character, he noticed that his own company name “Hockhua Ginseng Birdnest Trading Enterprise” contains the two characters: “Hock” – meaning fortune; and “Hua” – meaning prosperity. An idea sparked and he decided to design the company logo with Fortune (“福”) in the middle, surrounded by Prosperity (“Hua”) outside it in a circular form. In this way, fortune, prosperity, peace and health will be passed on to all Chinese descendants. Develop fully integrated supply chain for all core products. Educate our customers to better understand our products and dicide on the most suitable item to purchase. Provide opportunity for outstanding employee to become a shareholder. Our success is attributed to three main principles: team spirit, constant improvement and dedication to customer satisfaction. From the start, team spirit is nurtured carefully among our team members. We maintain a transparent and caring attitude towards one another, striving to cater to everyone’s needs, so that we can work closely together. Management hierarchy in Hockhua is virtually non-existent. Our constant strive for excellence gives us our competitive edge and ensures our commitment to high standards. Our team members engage one another in sharing and exchange of ideas, findings, experiences and research. Supported by on-the-job training, members help one another to enhance professionalism, knowledge and productivity. Hockhua’s dedication to customer service means we go beyond providing the best products. We believe in providing one-to-one service and share our professional knowledge to our customers as well. 1986 Mdm Lee Ang Cho (the mother of current CEO Mr Chan Tiong Cheng) imported American Ginseng products from Canada. 1987 Mr Chan Tiong Cheng expanded the company with three other partners in Kampong Kranji, Singapore. They moved into the wholesale business, distributing American ginseng from Canada. 1989 As the business grew, they saw a market for traditional Chinese health food and set up Hockhua Ginseng Birdnest Trading Enterprise. The company’s first retail outlet was opened in Hougang, a public housing estate in Singapore. They began to import quality bird’s nest too. 1990 – 1995 The first outlet was very popular and it led to the opening of several more in Singapore over the next few years. To meet demand, the company began selling traditional Chinese herbs, medicines and other health food as well. By 1992, Hockhua was already a comprehensive traditional health food chain. The turnover increased from $2 million in 1990 to $6 million in 1993. 1996 – 1999 With the expansion of the retail chain, the company’s management decided to venture into direct import and set up SHW Trading Enterprise in 1996. This allowed the company to cut operation costs, keep retail prices low and achieve greater quality control. 2000 – 2002 Hockhua Holdings was established with six companies under its wing – H.W Ginseng, H.W Birdnest, H.W Herbs, H.W Traditional Medicine, H.W Agri-food and H.W Seafood. Each specialises in the development of one product category and included farming, import, processing, management and raising of quality standards. By then, Hockhua was running 30 retail shops and had opened its first Oriental Herbal Tea store. 2003 Hockhua Holdings moved its headquarters to the Ang Mo Kio Industrial Park in Singapore and centralised all administration and operations there for higher productivity and professionalism. 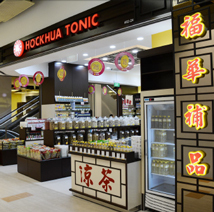 2004 The company underwent a restructuring and Hockhua Ginseng Birdnest Trading Enterprise was renamed Hockhua Tonic Pte Ltd to reflect the scope of its business more accurately. 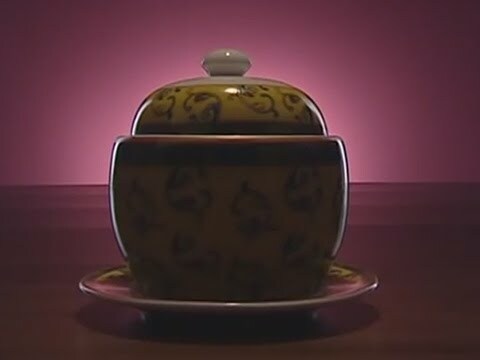 2006 The company set up two manufacturing and packaging facilities in Singapore to produce over 20 patented TCM products in capsule and powder forms and a range of bird’s nest products. 2007 The company expanded to Malaysia and opened its first two retail outlets in Kuala Lumpur. 2008 After 22 years of continuous strive for excellence, the company achieved a turnover of $70 million in 2008. It owned six major import and distribution firms and was operating three food and pharmaceutical manufacturing plants in Singapore with a total floor area of 13,000sqm. 2009 During its 20 years of development, Hockhua’s annual turnover hits $83 million in 2009. 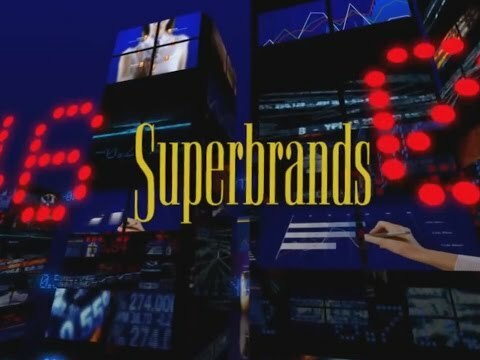 The joyous occasion was marked by the achievement of the “Superbrands” award. 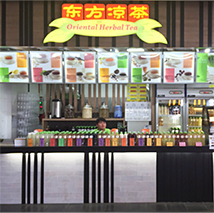 The company’s network expanded to 46 retail shops and 15 herbal tea stores in Singapore 7 outlets in Malaysia. 2010 The company set up its second manufacturing facility in Singapore which obtained the HACCP certificate and focused more on the direct manufacturing and packaging industry, especially for fruit juice beverage. 2011 The company achieved a total turnover of $105 million that year, and expanded its network to 48 retail shops in Singapore and another 9 in Malaysia. It also concentrated on improving employees’ skills related to products and services. 2012 This was the fourth consecutive year the company achieved the “Superbrands” award, and the third year it obtained the AVA (Agri-Food and Veterinary Authority of Singapore” Food Safety Excellence Award. For the first time, it also won the Top 100 Singapore Excellence Award. The company achieved a total turnover of $110 million this year. 2013 – 2015 The company continued to increase the number of outlets to 56 in Singapore and 11 in Malaysia. It further enhanced the VIP programme to allow customers to accumulate points and redeem items from Hockhua Tonic outlets across the border. The online store was also launched to provide convenience and another alternative for customers to make their purchase from. The gross turnover for Hockhua Tonic in Singapore for the year ending 2014 is $130 million.